Call (315) 337-4532 to reserve your appointment. Our location in Rome specializes in providing the highest quality hearing aids and the best hearing care service. Call our store to schedule a free hearing test and to meet with one of our hearing specialists. We will help you determine if you have problems hearing and help find a solution that best meets your needs. Our stores carry the latest technology and video otoscope machines to help accurately diagnose your unique situation. 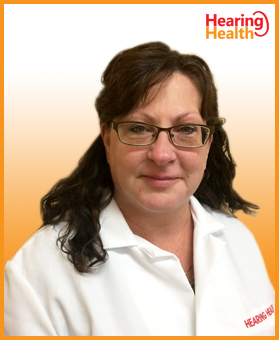 Linda is a licensed Hearing Instrument Specialist who has been serving the needs of the hearing impaired since 2011 and is experienced in the areas of audiometric testing, hearing instrument fitting, and rehabilitation services. Linda is also adept in the programming and technical maintenance that is required of today’s digital hearing devices. Linda is a firm believer in the importance of taking the time to listen to all of her patients and is constantly learning their lifestyles and sound environments; knowing these factors can help with the patients comfort during the fitting process. Hearing better opens up a new world and brings back old memories that otherwise may have been momentarily forgotten. In her office, she is always making sure that her patients have the most recent information regarding new technology because everyone has the right to better their hearing.